TORONTO, ON – A new book written by one of Canada’s top culinary experts to help readers “master the art of pairing beer with food” is now available. Tonia Wilson provides the information needed to understand how aroma, flavour and texture affect the interactions of beer and food. The book describes 35 different beer styles and pairs each with a seasonal recipe, together with an explanation of why the beer works with the dish. The elegant, yet simple recipes allow you to experience the food alongside the beer, enabling a full appreciation and understanding. 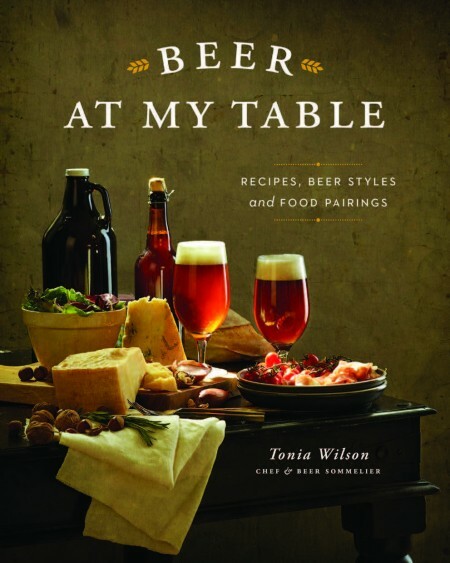 In addition to being a great learning tool, Beer at My Table is a beautiful cookbook which encourages a love of beer and recognizes its place at the table. Beer At My Table is a 212-page trade paperback published by Whitecap Books with a list price of $34.95. It can be ordered now from Whitecap, Amazon.ca, Indigo, and other book retailers.